Lowell Sherman: If I could leave 10 stars I would for Erion and Signature Real Estate. Signature Real Estate is way more than a real estate agent -- they are your guide through an otherwise challenging investment landscape. Whether you are looking for an investment property or just rock solid real estate advice, I would recommend Erion without the slightest hesitation. Erion is my investment guru and I can't recommend him enough. Look no further. Raja Bandla: We are very pleased to share our home buying experience with Erion Shehaj and his staff. Erion is very knowledgeable about market trends and ready to share all the details. He guided us throughout the process very well. We highly recommend him for any real estate needs. Sajid Mumtaz: I am very pleased to share my real estate buying and selling experiences with Erion Shehaj and his staff at the Signature Real Estate. I met Erion through a friend of mine in late 2011. My primary residence was fully paid for so I was looking to buy another house as my primary residence and lease out the mortgage-free house. Erion did not ask me to sign any contracts and simply said, "If you like my services we will work together otherwise we go our separate ways." Well, that was the beginning of a mutually trusting relationship which is still going on to this date and one which I cherish very much. Since then he has helped me acquire several rentals. He is also able to manage the rental properties. He has sound judgment when it comes to selecting the right tenants. He has also helped me quickly sell some of these rentals and get the best price the market had to offer. He is very well educated and has excellent analytical and communication skills. And he is very knowledgeable about the real estate market. I would highly recommend Erion and his staff to anyone who is looking to either purchase a primary residence or invest in real estate. Kara Smits: Erion created a clear path to financial freedom through smart real estate investments based on my personal goals and needs. It has been a pleasure working with him over the past few years! Rexhe Kasumaj: Great service, fast and friendly! Katie Walsh: My husband and I worked with Erion on purchasing an investment property. I cannot stress enough what a GREAT experience it was working with Erion and his staff. He is not your typical real estate agent- with degrees in business and accounting, as well as his investment strategy ("The Blueprint"), he is a priceless asset if you are looking to get into real estate investing. With Erion, we were 100% comfortable making the plunge into the real estate investment world. As well as being highly qualified, the level of expertise, professionalism, and friendliness you get with Erion is unmatched. He is extremely knowledgeable and also honest and forthright. He was efficient and only showed us properties that were a realistic possibility (not too expensive and not below a certain standard), which was much appreciated. Additionally, his estimates of expenses, rental rates, taxes, etc have been bang-on. He really is at the top of his game and I would highly recommend working with his company if you get the opportunity! Donna Kittelberger: The closing on our house went very smoothly and Erion and his associates did everything possible to accommodate us. His calm demeanor is a great asset when dealing with the stress of selling a house. Matthew Blair: Erion transformed our home buying experience into what it should be: a celebration of our next step in life. Buying a home, for most people, is very stressful and can create bad feelings all around. This is particularly true if you're looking for a home in Sugar Land where the competition for the right house is intense. Erion gladly handled all the details which can create anxiety. He really understood what we were looking for in a home and was quick to steer us away from houses that were either overpriced or just not the right fit for us. More than once, he reminded us that he was not going to let us pay too much for a home. 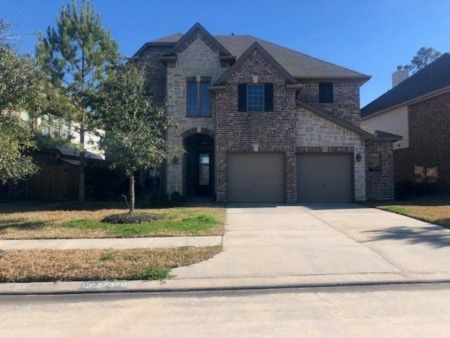 Great homes in Sugar Land might be on the market for 2 days, and Erion was always able to get us in on that day or the next morning. His Signature Houston website is always up to date and easy to navigate and customize. My wife and I walked away from the experience, and into our dream home, truly enjoying the whole process. Buying a home is one of the biggest decisions you'll ever make. You have the choice of whether that experience will be fun and exciting or a stressful disappointment.